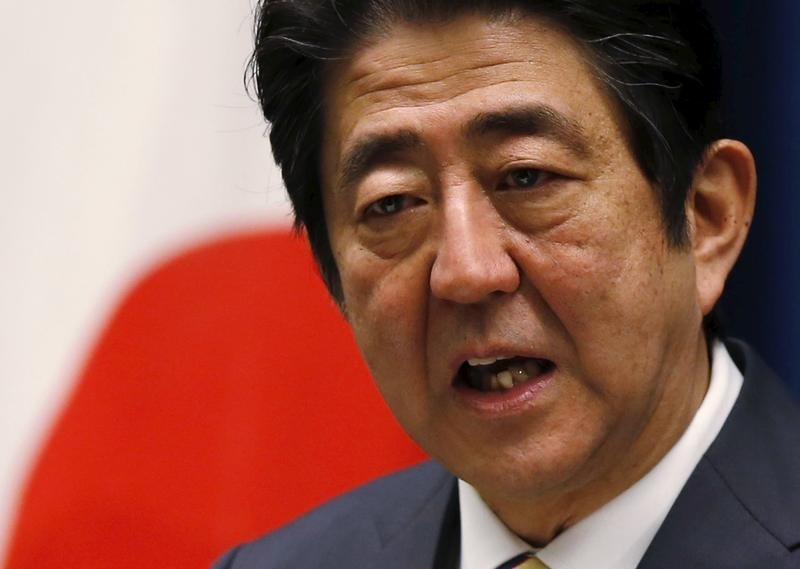 Unruly markets present Abenomics with its most severe stress-test. A weak yen and buoyant share prices were the most visible achievements of Prime Minister Shinzo Abe’s three-year campaign to end deflation in Japan. But a global selloff, combined with the Bank of Japan’s surprising but ineffective shift to negative interest rates, has reversed those gains. Until recently, market psychology had been one of Abenomics’ most effective armaments. By weakening the yen, the Bank of Japan helped boost exports, in turn strengthening workers’ claim for higher wages. Meanwhile, policymakers hoped rising stocks would prompt risk-averse Japanese investors to be bolder with their savings. Now those weapons are facing the other way. A global flight to safety has bolstered the yen and sent stocks tumbling. The BOJ’s attempt to reverse the flow by adopting negative rates has backfired. In the two weeks since the policy was announced, the yen has gained 7 percent against the U.S. dollar, while the benchmark Topix equity index has fallen more than 15 percent. If investors fear the impact of negative borrowing costs, they appear to be overreacting. The BOJ’s new policy is designed to protect lenders from paying to hold large reserves with the central bank. Analysts at Nomura estimate the shift will shave just 1 to 3 percent off the earnings of most Japanese banks. Yet shares in Mitsubishi UFJ Financial Group, the country’s largest bank, have fallen by more than a fifth. A better explanation is that investors think they have discovered the limits of the BOJ’s deflation-fighting armory. The central bank could cut rates further, or buy even more bonds than the 80 trillion yen ($714 billion) a year it is currently spending – but its capacity to shock markets looks diminished. The recent failures also highlight Abe’s relative lack of progress in boosting government spending, or in reforming the labour market. The prime minister can ill afford this setback, with elections to Japan’s upper house looming in the summer. The turmoil risks derailing his entire economic project. Japanese Finance Minister Taro Aso said on Feb. 12 the government would take necessary steps to deal with currency volatility, the minister’s strongest hint of intervention since the yen began its recent surge. The U.S. dollar fell below 111 yen on Feb. 11 to hit its lowest level since October 2014, triggering market speculation that Tokyo could conduct yen-selling intervention to prevent a further spike from hurting the export-reliant economy. “We have agreed at G7 and G20 that sudden foreign exchange movements are undesirable,” Aso told reporters at a post-cabinet meeting news conference. Bank of Japan Governor Haruhiko Kuroda added that recent moves in financial markets were “out of line with fundamentals”. The benchmark Topix index was down 5.55 percent at 1195 by mid-morning in Tokyo, as shares resumed their fall after a one-day national holiday. The index has dropped more than 18 percent since the beginning of the year.